Posing for pictures is the best part of any event. Photo booths allow guests to snap pictures and receive prints instantaneously. If you want your guests to remember your party, renting a deluxe model will allow them to take home memories of your big day. These services will bring diverse types of rentals to your event in New Jersey. Scroll down to see how photo booths have changed throughout the years. While photo booths have always delighted people since their inception, only recently have they become a fixture at parties and events. Learn about the unique and exciting features that many models offer. Automated photography machines have been around since the 19th century, but the first curtained photo booth appeared in 1925. Created by inventor Anatol Josepho, this new contraption captured and printed eight black and white prints for a mere 25 cents. It was a novelty item that was popular on the streets of Broadway in NYC. 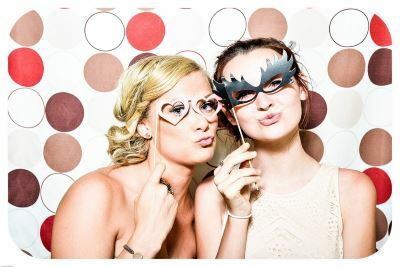 Thanks to modern technology, photo booths are more advanced than ever, and are a popular addition to parties and events. Maybe it's the selfie-centric world we live in, but there's something exciting and fun about posing for photos. Everyone loves the social aspect of taking photos together and saving the prints for later. Many services offer models that look like luxury lounges and can fit up to 10 people. They also come with the ability to create green screen effects in the background and come equipped with LCD screens. Not only will your photos immediately be printed on glossy paper, many even allow you to create personalized photo strips. Not onlly will you receive a CD or USB with all photos taken during your event, many models even allow you to directly upload snapshots directly to your social media profiles! Thinking of renting a photo booth for your next event in New Jersey? Find the perfect service on KidsParties.Party! Click here for some awesome birthday and party ideas! You can even read up on the different traditions people celebrate in other countries for birthdays. Maybe it is time for a new tradition of your own, whether you find one from our own list or you make up your own! 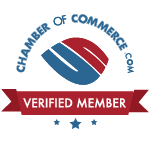 Fill out this form to get listed today.